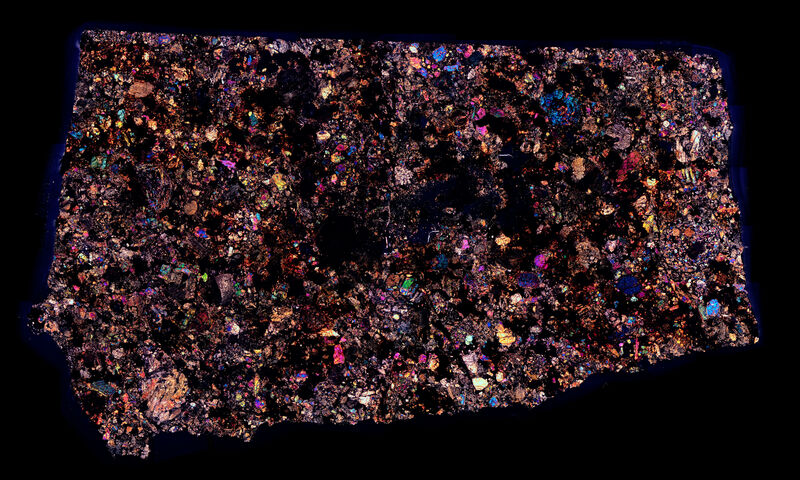 Thin section specimen of the Limerick Meteorite in cross polarized light. The meteor was observed on September 10, 1813 and the meteorite recovered shortly after the event. Limerick is classed as a type 5 high iron ordinary chondrite.